We are proud to have the support of a number of passionate, high-profile supporters, who champion us to a wide audience, helping us grow our profile throughout Ireland. 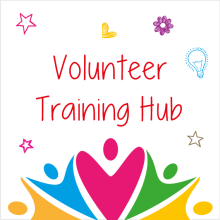 Michaela Foundation’s celebrity supporters have made huge contributions to our work through supporting fundraising events. Here’s a look at some of our celebrity supporters! Jim was one of our first celebrity supporters. Getting runners going at the start line of our first ever fundraiser. As a County Down man, Paddy was backing the Ulster team at Match for Michaela. Lending great support in advance, his personal video message on the night went down a storm! Ardal, more affectionately known as Father Dougal drummed up a lot of excitement with his promotional video for Match for Michaela. Didn’t see it? Watch it here. 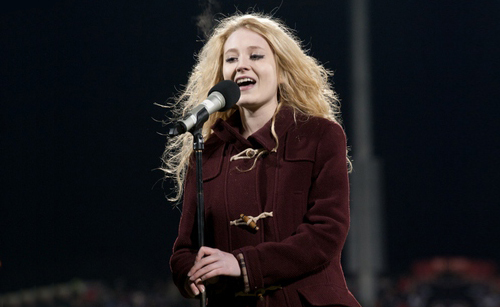 A native Tyrone singing sensation, Janet joined us at Match for Michaela to serenade an 18,000 strong crowd. 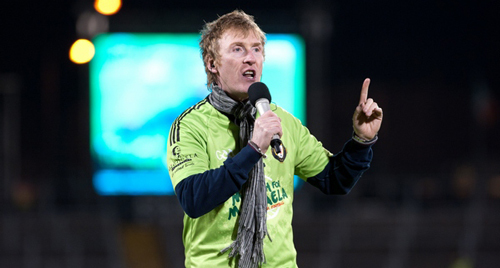 No better man for the job, Hector rallied the troupes on his 2fm show and kept everyone in high spirits at Match for Michaela. 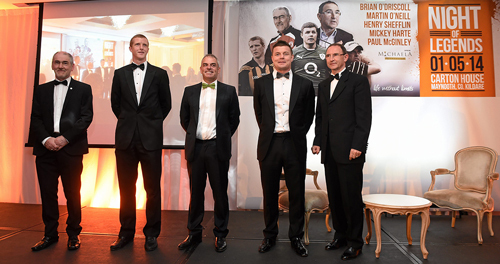 Kilkenny hurling star, Henry Shefflin stands alone in the history of the game as the only man to have won nine All-Ireland senior medals on the field of play. A humble man, sharing with us the importance of family and club, he gave us a great insight into his life as a family man and hurler and why organisations like Michaela Foundation are so important. 2014 Ryder Cup winning captain, Paul generously donated his time and auction items for Night of Legends. Donning his green dickie bow, he certainly got the crowd excited for the upcoming Ryder cup which he went on to win. Current Republic of Ireland soccer manager, Martin O’Neill was a keen Gaelic football player in his youth and represented Derry at underage level. An obvious choice for a line up of Irish sporting legends, Martin shared his thoughts on past and present. Widely acclaimed as the greatest Irish rugby player of all time, Brian O’Driscoll came straight from training for dinner and an intimate interview at Night of Legends. All with a match the next day, now that is a legend. 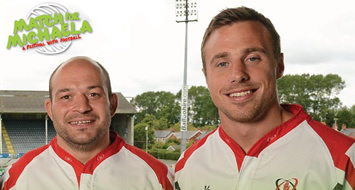 Two fine Ulster Rugby men lent their support to Match for Michaela.